Let’s be honest. What happens in Vegas never stays in Vegas. Especially what happens on the Waste Expo show floor, where you can experience show-stopping-amazing-beyond measure tradeshow exhibits and environments. Now that is something to talk about. As the waste management and recycling industry’s largest conference and tradeshow, here is always more. Especially this year, at Waste Expo 2019. Unlike any other show, Waste Expo is the industry’s largest conference and tradeshow of its kind, serving both the public and private sectors. And this year, Waste Expo will be offering more than ever before. Are you ready for Waste Expo 2019? Let us help. Look to 2020 Exhibits/Las Vegas to help you deliver a powerful brand experience. 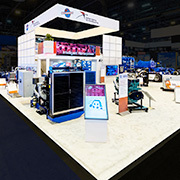 Let our the 2020 Exhibits/Las Vegas team of Las Vegas Convention Center and Las Vegas pros help to drive down your total cost of exhibiting with our turnkey, bundled services and support. We are located just a short distance from the Las Vegas Convention Center, home to Waste Expo 2019. Waste Expo 2019 brings together all of the players in the waste, recycling, organics, and sustainability industry. The 2020 Exhibits / Las Vegas team brings together your total event management experience. 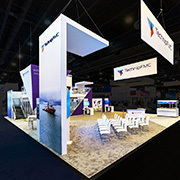 The 2020 Exhibits/Las Vegas team can drive your total event experience from start to finish starting with pre-show communications and marketing. 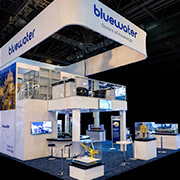 Design, build, event management and more, our team delivers total event management including the design, fabrication and installation of award-winning custom tradeshow exhibits. 2020 Exhibits Las Vegas has the in-house resources to deliver your comprehensive Waste Expo 2019 exhibit marketing program. EXPERT LOGISTICS & ON-SITE MANAGEMENT – Total show services for the Waste Expo 2019 includes our expert I & D teams, logistics management and more. 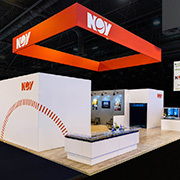 A full range of pre-, during- and post-show services including general show services, along with freight and global logistics strategy and execution. 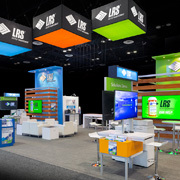 WORLD-CLASS EVENT MANAGEMENT – Seamless collaboration and performance drive bottom-line results Add some flavor and stir up your Waste Expo 2019 exhibit and event process, leveraging resources and boosting productivity to move your global organizations forward, faster with 2020 Exhibits Event Intelligence. Over 170,000 industry pros maximize our cloud-based Event Intelligence to drive real business results. Move your business ROI and results forward, faster, with Event Intelligence. From the show floor your Waste Expo 2019 sales team can see and measure level of interest and true product focus for lead generation. Follow up can be immediate while utilizing 2020 Exhibits’ lead capture services, with the sales team no longer waiting for key analytics and information to make the call. Backed by powerful, real-time, analytics MEDIA SUITE, the most dynamic, all in one, easy- to-use interactive sales tool and engagement solution in the industry, is perfect for captivating and engaging Waste Expo 2019 attendees. Maximizing the power of dynamic lead capture and data, MEDIA SUITE’s customized survey technology captivates attendees and creates a more engaging, customized experience. NEED HELP PLANNING WASTE EXPO 2019 EVENTS? 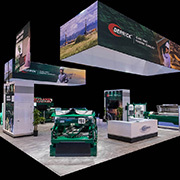 Let 2020 Exhibits put our experience to work for you at Waste Expo 2019.